The Chollas Creek Watershed Student Ambassadors Take Action! 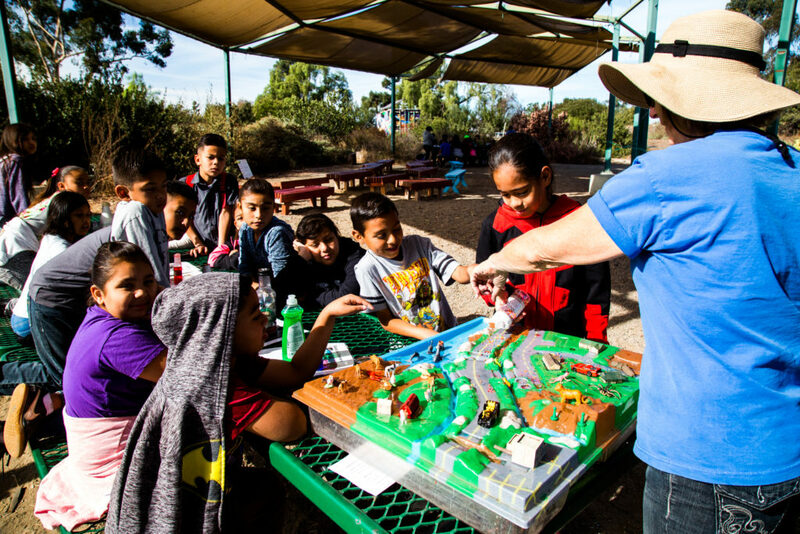 Thanks to the generous support from SDG&E’s Environmental Champions program, Groundwork partnered with students from two Lincoln Cluster schools (Chollas Mead and Millennial Tech Middle School) to engage over four hundred students in climate action awareness and education. Students learned the causes of, and developed solutions to, climate change. They used their own watershed, the Chollas Creek Watershed, to understand the potential threats of climate change to their neighborhoods and to the larger San Diego region. Field trips to the Birch Aquarium and Torrey Pines State Park provided students with information about the science of climate change, and a regional perspective on how family activities upstream in the watershed affect San Diego Bay and the Pacific Ocean. As part of their climate action campaign, students developed presentations to families and community leaders on the value of drought-tolerant landscaping and healthy habitats to healthy planet, and completed home audits to give families a chance to make a difference. Millennial Tech Middle School students thank SDG&E.